This free online course is a necessity for all SAP HANA Administrators to make their lives simple! This course has been created for all SAP HANA administrators: database, system, or basis admins. You’ll learn about all the tasks required to manage SAP HANA systems. The course will focus on SAP HANA cockpit web-based tool including checking alerts, monitor resources, and analyze performance. We’ll also focus on performing system configuration, backup recovery, and maintaining security. SAP HANA system administrators are responsible for ensuring the efficient and continuous operation of all SAP HANA databases deployed in the corporate environment. As with any business-critical solution, proper management of SAP HANA requires a solid understanding of its internal mechanics to interpret the metrics that are monitored and their impact on system and application performance, as well as its administration and tooling capabilities to plan and execute a suitable database management strategy. In this course, we’ll learn about the different tasks available to manage SAP HANA systems, with an emphasis on the SAP HANA cockpit web-based tool. We’ll examine the operations offered for both individual and multiple database administration, including alert checking, resource monitoring, configuration management, backup and recovery, and security. We’ll also explore factors that affect performance, such as analyzing memory usage, SQL statements, and workloads. This course uses demonstrations to highlight key aspects, and hands-on exercises to reinforce learning points. If your primary interest in taking this course is getting an overview of SAP HANA administration, you do not need access to a training system. However, we realize that many of you will be interested in completing the hands-on exercises based on the instructions in the course. We’ll therefore provide the necessary instructions and installation procedures in the respective units. Kelly Kong is a member of the SAP HANA Product Management team. With a primary focus on SAP HANA administration, Kelly is an expert in the SAP HANA 2.0 cockpit database administration tool, having worked on it since its inception. 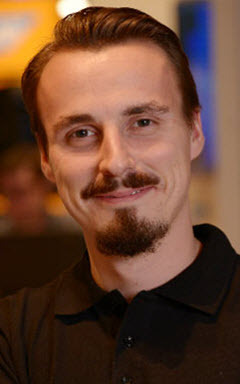 Lucas Kiesow is a senior product specialist in SAP HANA Platform Product Management for the EMEA/APJ regions. He is responsible for driving the product strategy and roadmap for topics such as performance management tools, workload management and SQL, as well as SAP HANA, express edition. Lucas has over 6 years of experience working with SAP BusinessObjects and SAP HANA. 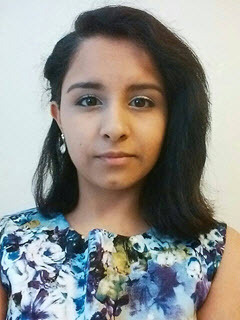 Parul Arora is a member of the SAP HANA Product Management team focusing on the SAP HANA 2.0 cockpit. Parul brings experience in developing and executing educational course material, as well as possessing extensive knowledge in implementing web-based GUI tools. This course was rated with 4.52 stars in average from 2155 votes. José Ramos is a member of the SAP HANA Product Management team. With over 17 years of experience, José is responsible for the planning and implementation of business strategy for SAP HANA database administration and monitoring products.